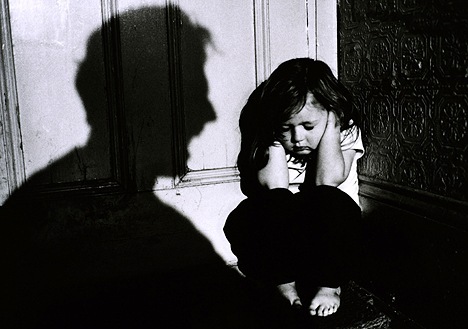 Welcome to part 5 of our 9 part series on child abuse and neglect. Today, we will be looking at signs to look for indicating potential abuse or neglect. Please see the end of today’s article for a complete listing of articles included in this series. As those who work with children, and those interested in ministering to at risk kids, it is important that we understand the warning signs of potential abuse and neglect. This section includes some general guidance as well as specific things to look for in both children and their parents for the different types of abuse and neglect. I have gathered this information from the various sources listed at the end of this article. Accordingly, I have not endeavored to cite a source on each individual sign. The single best source I have found, and the starting point for many of the items in these lists, is the publication Recognizing Child Abuse and Neglect: Signs and Symptoms from The Child Welfare Information Gateway of the U.S. Department of Health and Human Services. The signs listed in this section may be indicators of abuse and neglect. The existence of one sign or even the prolonged existence of one sign does not necessarily prove the existence of abuse of neglect and may be related to other factors. While we must be on the lookout for potential signs of abuse and neglect, we must also proceed with caution in concluding that abuse or neglect is present based only on these signs. We will talk more later in this article about what to do when you suspect abuse, but it is important to remember that false accusations of abuse or neglect can harm not only the accused by the child you are trying to protect in the first place. In the end, the best way to assess a situation is to have a personal relationship with the child that you have developed beforehand that will allow you to discern what is going on. Of course, this is not always possible. Each section includes potential signs of abuse to look for in the children and to look for in parents. The section of general signs also includes things to look for specifically related to the relationship between the child and the parent. We will look at signs to look for when it comes to specific types of abuse and neglect later, but the following represent general signs that a child might be suffering maltreatment. For purposes of signs of neglect, we have not endeavored to break them down by type of neglect. Recognizing the particular type of neglect is not nearly as important as knowing the signs of neglect themselves. While children of divorce are at an increased risk of abuse, we also must be cognizant of the fact that some of the potential signs of abuse may instead be related to the divorce itself. We must be cautious about jumping to conclusions while at the same time be diligent in the protection of children. In short, some discernment is required in ascertaining whether a particular sign could be an indicator of abuse or neglect or is actually just a reaction to their parents’ divorce. A pdf file will be posted at the end of the series including information from all nine articles in one comprehensive, not-so-brief, but easy to use format. For those of you who have expertise in this area, or have dealt with abuse and neglect situations in the past, we hope that you will join the conversation by adding your voice to the series through comments on the articles or on our Facebook Page.